Last updated by Frankye at March 8, 2013 . Office Ink Weekly Roundup: Angry Birds, National Breast Cancer Awareness Month and more. 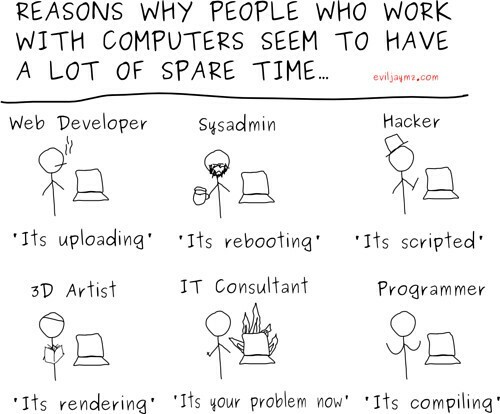 The Computer Dilemma via Dvorak Uncensored. 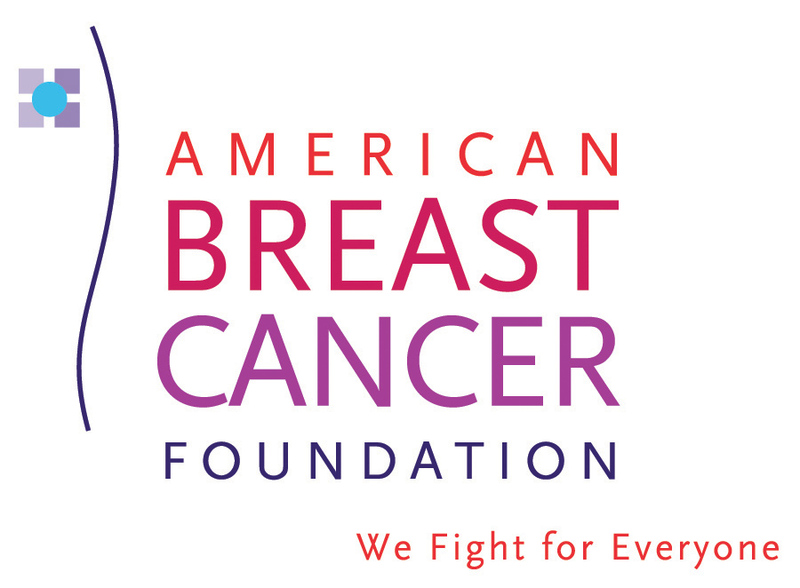 – Check out our list of the best and worst breast cancer organizations. – Advent Hospital reminds you to get a mammogram with a cute dance video. – The Tokyo Times posts a series of eerie photos of an Japanese school abandoned in 1974. – Lifehacker shows you how to stop Facebook from following you around the internet. – Science proves that the only thing standing between you and mental instability is a nice cup of coffee. – The robots are out for your job. – Can’t get enough of those Angry Birds? There’s an amusement park in China just for you. – Collecting Box Top Coupons for your kid’s school? Watch this webinar and learn how to become a lean, mean fundraising machine. – The Wall Street Journal on the importance of a supportive office chair. – Don’t forget to enter the Pink Ribbon Merchandise Giveaway. You get a chance to win some cool office supplies, and OnTimeSupplies.com donates to Living Beyond Breast Cancer for every valid contest entry. National Breast Cancer Awareness Month starts in just a few days, so it’s a great time to think about your charitable donations for the year. The fight against breast cancer depends on donations, but with so many Pink Ribbon organizations out there, it’s hard to know where your money will do the most good. Check out Monday’s list the worst breast cancer charities to find our where NOT to donate. Today we’ll take a look at the best organizations. We used Charity Navigator to put together our list. Our number one consideration was how these organizations spend their money. We know you don’t want to donate to a group that spends more on fundraising and advertising than they do on breast cancer programs. We also factored in transparency and accountability. Lastly, we focused on national organizations, though there a several fantastic groups fighting breast cancer on the local level. LBBC spends the overwhelming majority of its resources helping women, not staging splashy fundraisers. That’s why OnTimeSupplies.com chose the organization for the Pink Ribbon Merchandise Giveaway. 89% of charitable donations to LBBC go directly to funding their great programs. LBBC provides information and support to women affected by breast cancer at every stage of treatment, from diagnosis to recovery. They also help medical professionals better understand the needs of women with breast cancer. 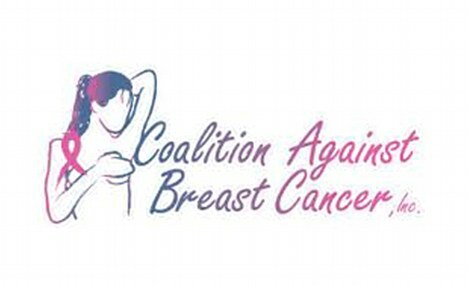 YSC was founded to address issues unique to young women affected by breast cancer. The organization supports research and advocacy that prolongs and improves the quality of life of women under 40. YSC devotes more than 80% of their resources on their breast cancer programs, so you can feel good about giving them your money. NBCC spends a whopping 86% of the funds in takes in on research, legislative advocacy & providing access to medical treatment. You can be confident that your donation will be well spent. 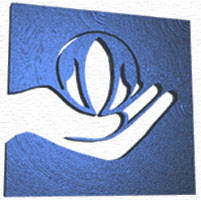 The largest breast cancer organization is also one of the most effective and efficient. Susan G. Komen for the Cure has grown to become the largest source of non-profit dollars in the fight against breast cancer. The organization has raised nearly $2 billion since its 1982 inception. They took in just under $240 million in 2010 alone. And they put that money to good use — more than 80% of donations go to funding breast cancer programs, supporting everything from cutting-edge research to community clinics. National Breast Cancer Awareness Month is a great time to support any of these causes. 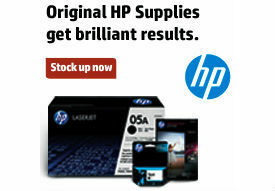 You can also pick up Pink Ribbon merchandise at OnTimeSupplies.com. A portion of each sale goes to realiable, effective breast cancer organizations. 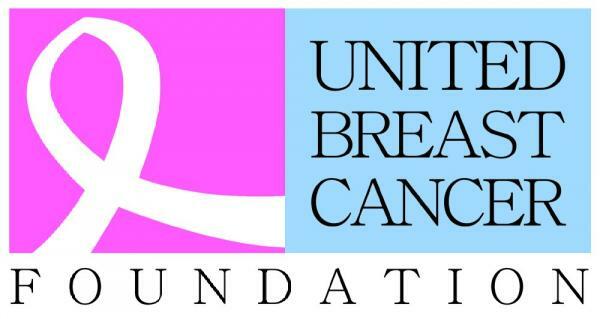 Worst Breast Cancer Charities: read before you donate! From the fraudulent to the merely inefficient, here are our worst breast cancer charities. CABC raised more than $9 million over five years, and spent the vast majority of that on fundraising fees, salaries and benefits, and personal goods. Less than 4% of collected donations went to charitable programs. That’s not just mismanagement, that’s a fraud. In fact, CABC is being sued by the state New York and this summer, the husband & wife team behind the organization plead guilty to grand larceny and scheming to defraud. ABCF spends most of the money they raise on more fundraisers. They are also sneaky. Their education & awareness programs are thinly disguised solicitations. Less than 3% of the money donated to the ABCF goes to research grants. And good luck trying to find out who runs the joint. The website doesn’t list board members or key staff. UBCF is the best of the worst in this lineup, spending a whole 40% of its 2010 budget on actual charitable activities. You’ll also find board members & key staff listed on their website. Still, there a far more efficient organizations to give to. Another organization that spends way more money on fundraisers than on fighting breast cancer and doesn’t provide nearly enough information about who runs the organization. In fact, aside from the crooks at CABC, the disparity between money spent on fundraising, versus money spent on breast cancer programs is the number one drawback of each organization in this list. Want to be sure your charitable donations will actually go to funding breast cancer research, prevention & patient support? 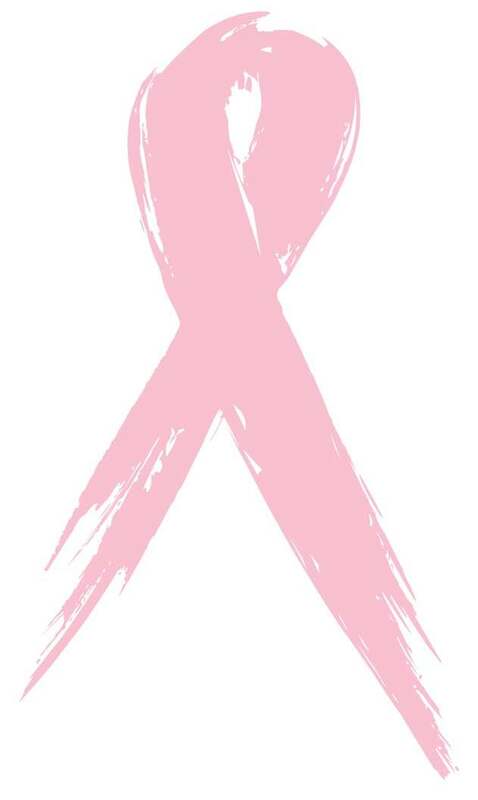 We’ll have a list of the best breast cancer organizations Wednesday. Here’s a hint: Living Beyond Breast Cancer is on the list, and you can support them today by entering the Pink Ribbon Merchandise Giveaway from OnTimeSupplies.com. Here’s a little Friday Fun: an Illinois hospital has produced a cute dance video for Breast Cancer Awareness Month to encourage women to schedule a mammagram. Nurses, surgeons and other normally staid hospital staff get down with pink feather boas, pink ribbon-shaped balloons and more. There’s even a drum majorette spinning a mean baton. The adorableness starts about 30 seconds in. You can participate in National Breast Cancer Awareness Month too, and you don’t have to channel your inner Lady Gaga to do it. Enter the Pink Ribbon Merchandise Giveaway today and OnTimeSupplies.com will make a donation to Living Beyond Breast Cancer. Plus, you get a chance to win cool office supplies. Or check out the pink ribbon office supplies for sale at OnTimeSupplies.com. Each sale supports a variety of great cancer research & charity organizations. Celebrate National Breast Cancer Awareness Month with FREE Pink Ribbon Merchandise. National Breast Cancer Awareness Month is just around the corner, so OnTimeSupplies.com is bringing back the popular Pink Ribbon Merchandise Giveaway. You get a chance to win some cool office supplies AND we’ll make a donation to Living Beyond Breast Cancer for every valid contest entry. 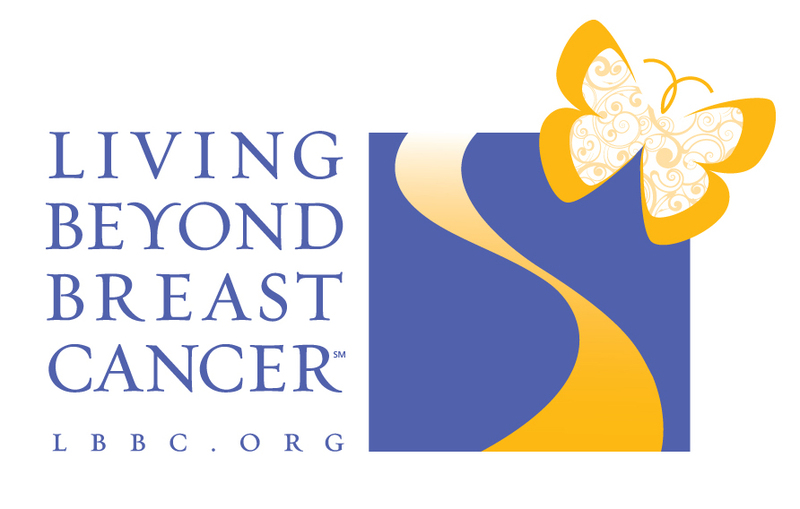 LBBC is a great organization dedicated to improving the lives of women affected by breast cancer. We’ll announce the giveaway winner here at Office Ink on October 31st. Now, start commenting and tweeting to raise money for LBBC and get your chance at a free Pink Ribbon Merchandise! Pick your network, follow and post! We’ll make a donation to LBBC for every contest entry, so tell your friends & spread the word!